La-La Land Crafts Inspiration and Tutorial Blog: Tutorial Thursday - new way to use Hill Border Die. Tutorial Thursday - new way to use Hill Border Die. 1.Trim a 11x16 cm piece of patterned paper. 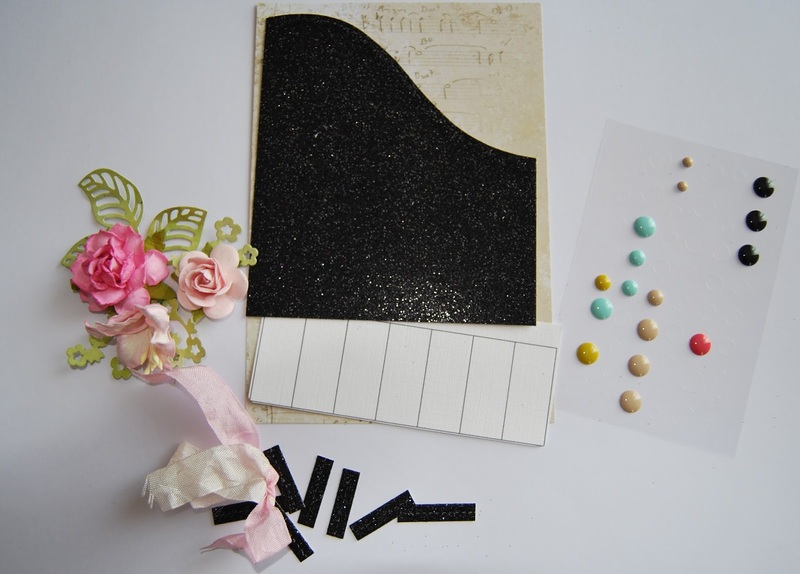 2.Cut a smaller rectangle of black glitter cardstock 10,5 x12cm and die-cut the edge using Stitched Hills Border die as shown . 3. Print a table with 7 columns ( each column 1,5 x 3,5 cm ) and cut out. 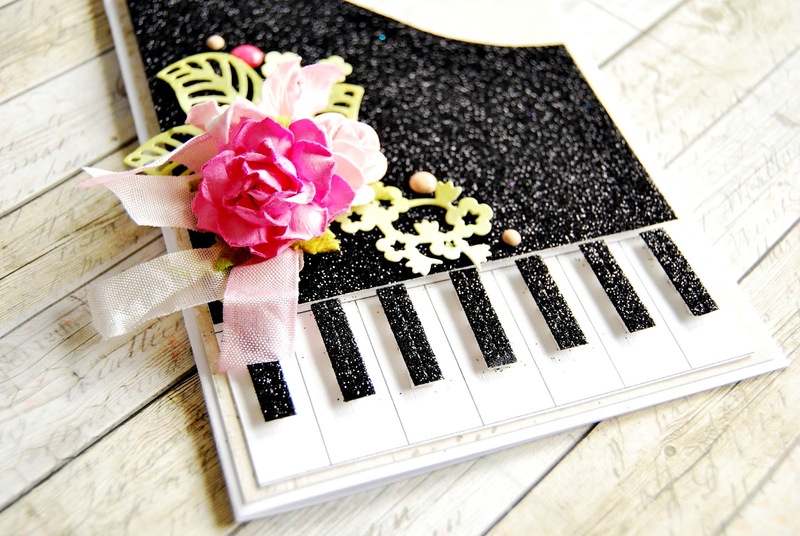 5.Layer a piece of patterned paper onto the card front and adhere a smaller piece of glitter cardstock on top using 3d foam pads . 6. 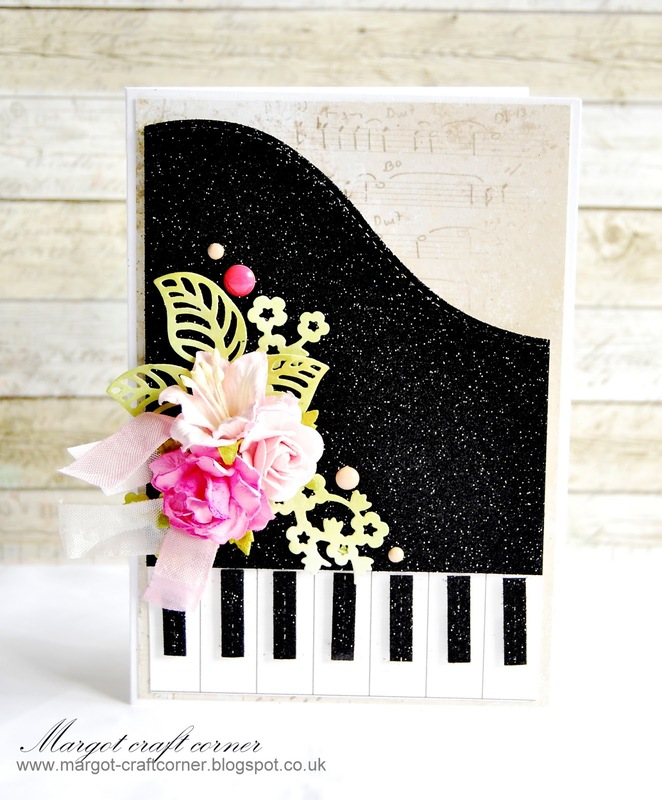 Attach a tabel at the bottom of card front and affix a pieces of black card on top using 3d foam pads to create piano keys. 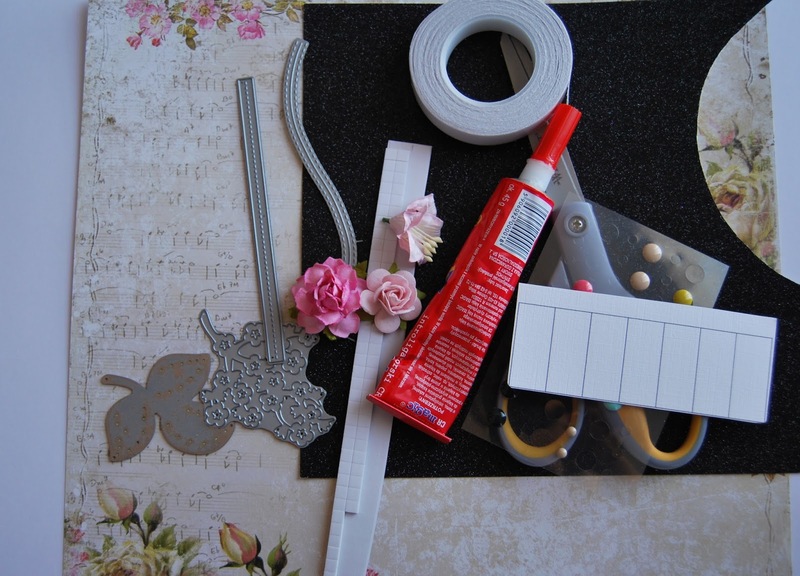 7.Die-cut the leaves and secure them to the card front along with flowers, ribbon and gems as shown. 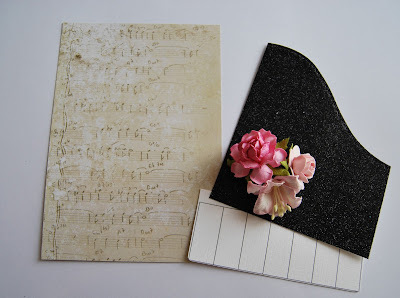 what a great idea, Margot, I love it!!! thanks for the inspiration!! !